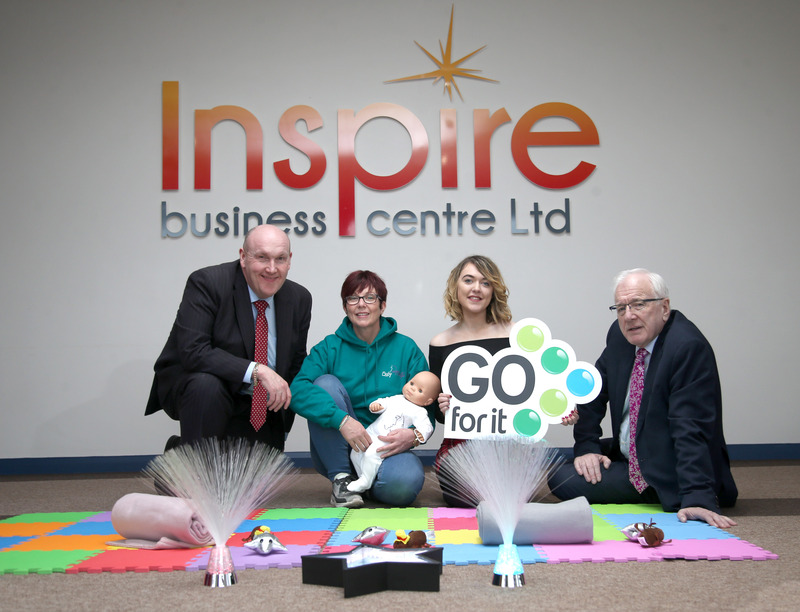 Sarah Walker from Carryduff worked with the Go for It programme Business Advisor at Inspire Business Centre to get support to start her new business that helps babies and young children get active. Sarah operates three programmes: ‘Relax Kids’ which helps children feel positive, calm and confident; ‘Little Stars’ which teaches under-fives how to shine through songs, games, stories and dance; and ‘Baby Mindful’ classes that allow parents to connect with their baby through calmness and contentment. By taking part in the Go for It programme Sarah was able to get assistance to write a business plan to identify the start-up capital required to operate a business working with young people and their parents. She also received assistance on the potential income needed to ensure it is a viable business. Alderman William Leathem, Chairman of the Council’s Development Committee meeting Sarah said: “To become self-employed is a big step for anyone but Sarah has a passion for improving the health and wellbeing of our younger generation. I am delighted that the Go for It programme could assist her with her three programmes. Sarah offers her programmes across the Lisburn Castlereagh area and I enjoyed meeting some of her clients at the Baby Mindful session held at Inspire Business Centre, Dundonald.